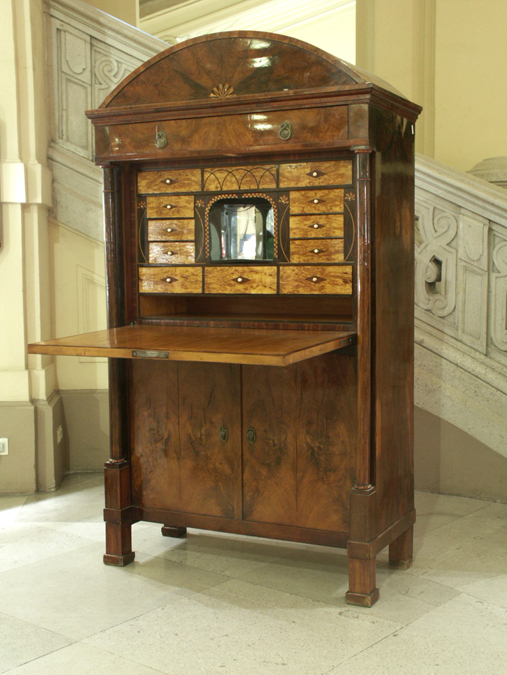 Biedermeier-Vienna is proud to offer a fine collection of Biedermeier antique furniture. Located in Chicago and in Vienna - the heart of Biedermeier, this gives us a great opportunity to import the best quality of Austrian and Viennese Biedermeier furniture from 1815-1830. Our main focus is on Austrian Biedermeier pieces, which were especially designed for livability, elegance and private life. The Vienna furniture builders of this time had found their very specific expression and filled their designs with fantasy. Biedermeier is not just a furniture. It is Art. All pieces are restored in our Viennese workshop in museum quality. 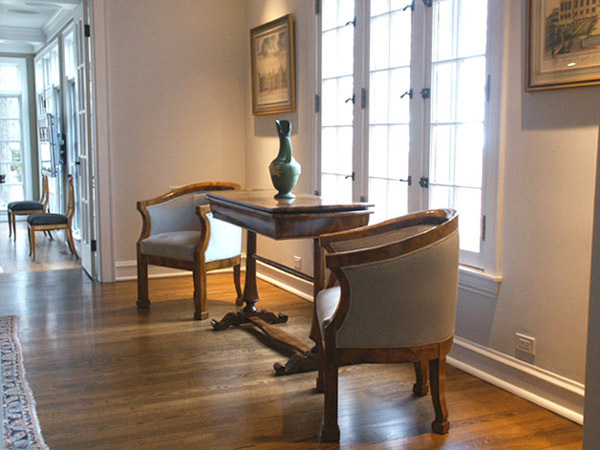 Our collection features pieces such as commodes, chairs, tables, armoires, vitrines, sofas etc. 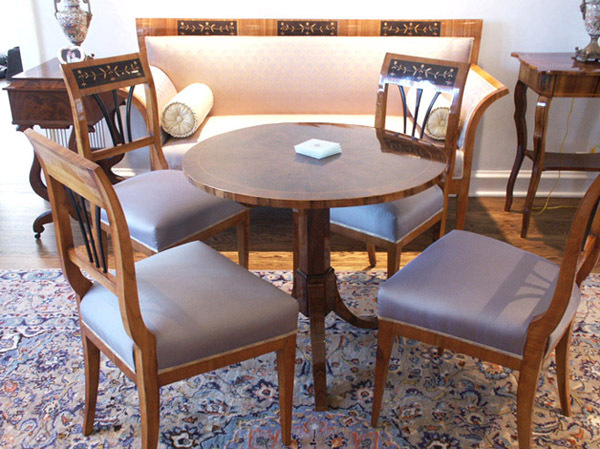 For special customers requests we have the opportunity to find specific Biedermeier pieces. 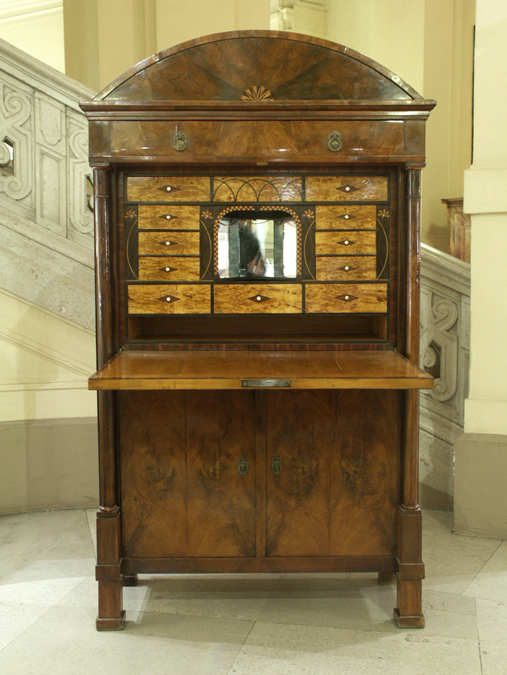 An exquisite, rare Biedermeier Secretaire with so-called 'Metternich' form. Columns at the angles, cornice drawer, writing section with fall front and fitted interior veneered in burlwood, two large and six small interior drawers with mirrored central niche. Fruitwood marquetry. Two secret compartments.